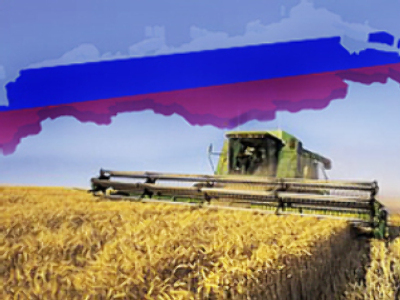 Russia will be at least 80 per cent self-sufficient in food in twelve years time. That’s according to Vice-Premier Victor Zubkov, who has approved a report on food security published by the federal agricultural panel. According to the document, Russian farmers will grow more than three quarter’s of the country’s basic products by 2020, Vedomosti Daily reports. The share of grain and potatoes consumed at home should be 95 per cent Russian; dairy products 90 per cent homegrown; meat and salt – 85 per cent; sugar, vegetable oil and fish – 80 per cent. The figures point to a major increase in agricultural production in the coming years. As things stand, Russia imports 36 per cent of its meat and 17 per cent of its milk. The plan will be put before the president for approval in December. Vedemosti reports that many Russians still don’t eat enough, and particularly not enough of the right stuff. Meat consumption is 18.7 per cent below recommended levels. It‘s a similar story with dairy products – 20.7 per cent short of optimum levels. The picture is even more worrying when it comes to vegetables and fish. On average, Russians eat 26.7 per cent fewer fresh fruit and vegetables than they should and only half the amount of fish they need.